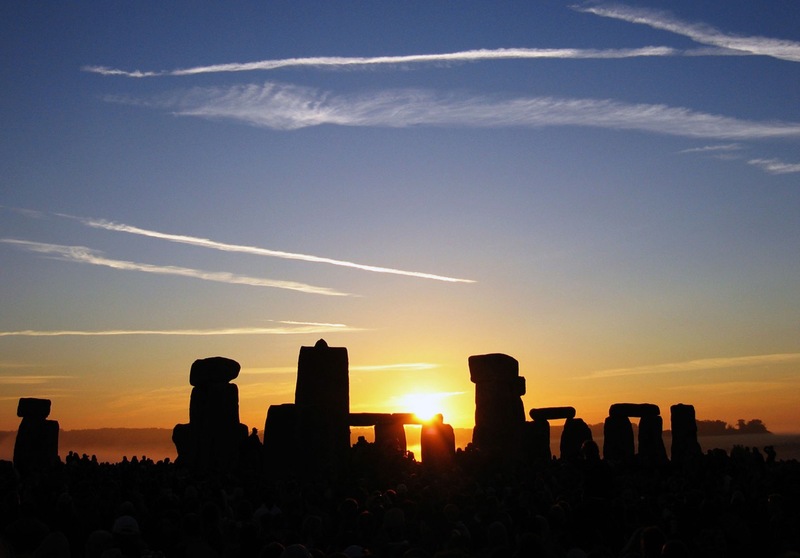 The summer solstice (‘sol + stice’ from Latin, meaning ‘sun’ + ‘stand still’) arrives in the northern hemisphere this morning, June 21, at 7:28 am. It is the longest day of the year and a day was held in reverence by ancient people as a season of rebirth and renewal, the start of the summer growing season. Around the world, the day is celebrated with bonfires, parades, maypole dances, parties and more. At Stonehenge, thousands gathered at sunset last night at the ancient pillars of stones as they awaited daybreak. Last year over 36,000 converged to keep vigil from sunset until they celebrate the rising sun aligning with the Heel Stone, following the rituals that many believe ancient pagans celebrated. 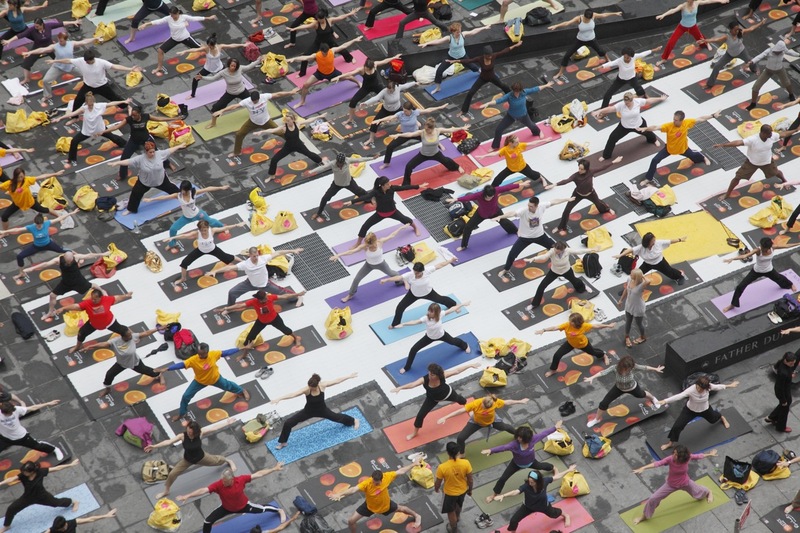 At New York City’s annual Solstice in Times Square, hundreds of celebrants will greet the summer solstice with tranquility and transcendence in perhaps the world’s largest yoga class. Amidst the city’s noises and activity, a sense of community in this gathering brings unanimity in honoring the season of growing. This morning I will watch the sunrise, then join a community of neighborhood friends for breakfast and the first of our summer art activities. For me, the act of artistic creation is the beginning of another growing season where ideas and skills germinate and grow. How will you spend the longest day of the year? Happy summer solstice! This entry was posted in Horticulture and tagged summer solstice by Annie. Bookmark the permalink. Hello, mother of eight! What a nice blog you have created. I hope you enjoyed your summer solstice in your Utah garden. It ended up being brutally hot and humid in Tidewater but I managed to pull a few weeds. My absolute favorite day of the year. It was a hot one this year! I did get into the garden and finished the day with my book club and a wonderful glass of Cabernet. What happened to the perfect weather of a couple of days ago? This is Tidewater where hot and steamy is the norm. The low humidity lasted only 24 glorious hours. I love midsummer or Litha… fireflies, lightning bugs, red roses, St. John’s wort, lavender and yarrow… but, oh… those lilies!!! Fill them up with your magical power. So must it be, and let it harm none. Oh Dorothy, methinks we share the same fireflies, lavender and yarrow across our river. I hope this lovely garden blessing summons the faeries to protect all that grows in our gardens.